Time: 6 – 8 p.m. This is an open house, feel free to come and go as you please during this time. Griff will visit from 6-6:30! Come to The Harkin Institute on Monday, February 12, to enjoy free food and learn about The Harkin Institute’s D.C. Experience Scholarship! 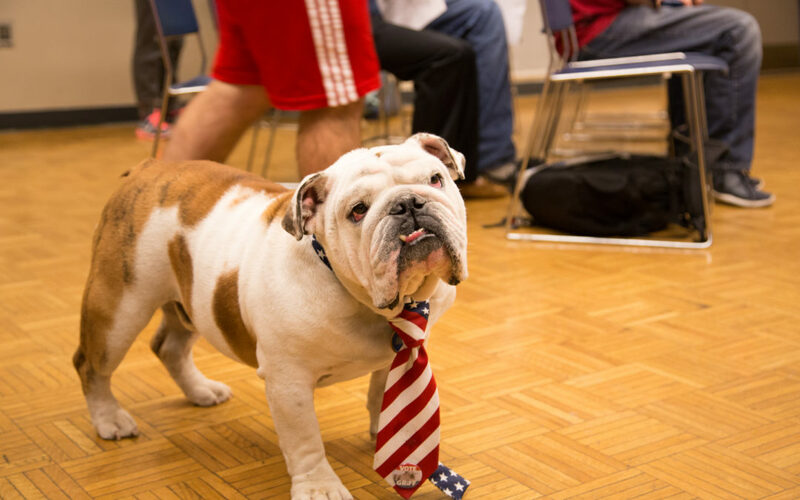 Even Griff will be on hand to share belly rubs and get the lowdown on this great opportunity for Drake students. We know completing an internship is a critical first step to a successful career down the road, but many of those internships are unpaid, and living in the Nation’s Capital without a paycheck can be tough. The D.C. Experience Scholarship can help cover the cost of housing and travel for Drake undergraduates who secure internships in Washington, D.C. for the summer! Click here for more information on the D.C. Experience Scholarship and make plans to join us on February 12 to learn more about this great opportunity and others that The Harkin Institute can provide. Interested in pursuing an internship in Washington, but unsure where to start your search? We can help with that, too! Stop in anytime between 6 and 8 p.m. on Monday, February 12 and staff will be on hand to help answer all your scholarship questions. Food will be served and Griff will join us from 6-6:30!